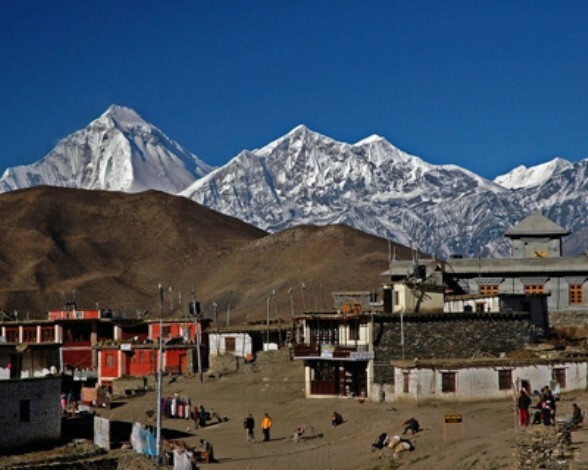 Muktinath is one of the sacred places of worship for the Hindus in the Himalayan ranges of Nepal. Known for both Hindus and Bhuddists, this shrine attracts pilgrims during the months of May-November. 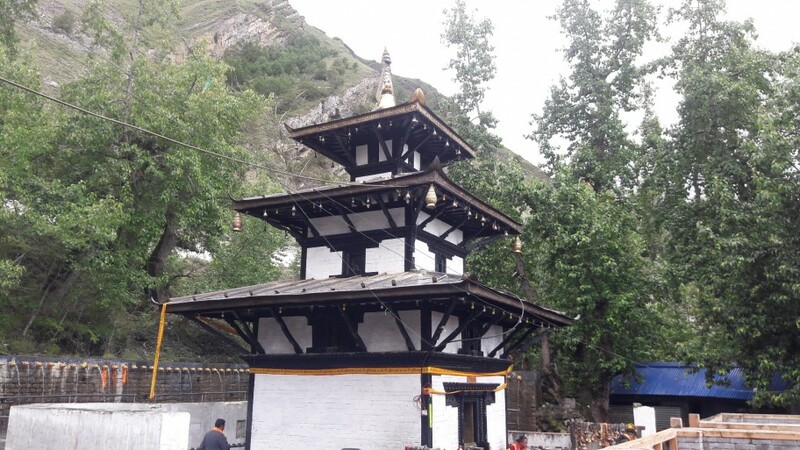 The famous temple of Lord Muktinath lies in the district of Mustang and is situated about 18 kms northeast of Jomsom at an altitude of about 3800 meter. The main shrine is a pagoda shaped temple dedicated to Lord Vishnu. This is one of the 106th sacred Muktichhetra (assured of salvation) of 108 sacred places of Vaishnavs, where Lord Vishnu got free from the curse of Sati. Here is a largest Shaligram. Here is also a Jwaladevi, a divine flame is continuously burning since thousands of year. 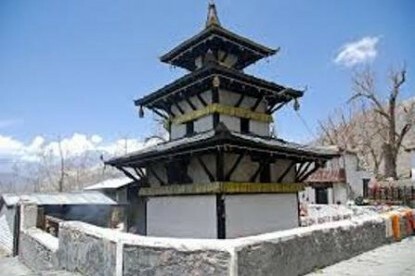 Muktinath is the most sacred Hindu site in Nepal after the temple of Pashupatinath in Kathmandu. Hindu pilgrims come here to bathe in the 108 water spouts shaped as cows’ heads and Buddhists come here to pay homage at a shrine enclosing an eternal blue flame. 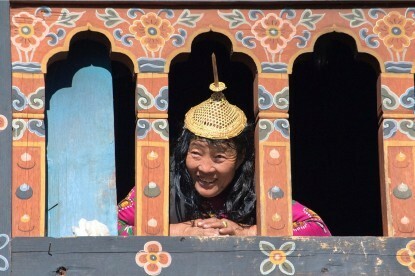 Pilgrims take bath in holy water spouts to purify their bodies before visiting the main Temple for worship. Visitors can enjoy magnificent views of the Himalayas, fabulous and typical valley of Kaligandaki and diversity of ethnic culture. 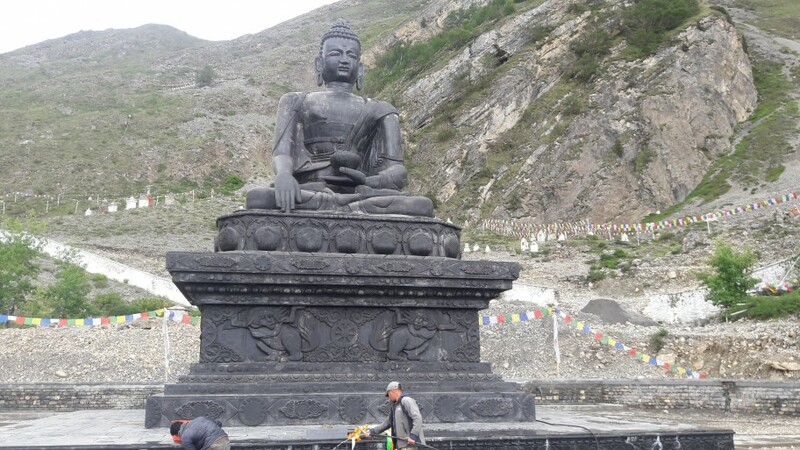 The trail from Jomsom passes along the Kali Gandaki River, the deepest gorge in the world to Kagbeni, a fascinating old citadel. 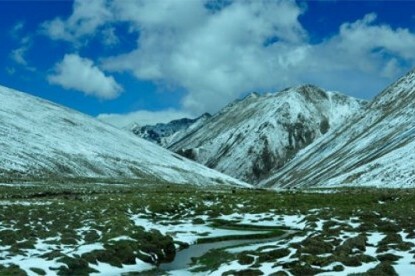 The trail then divides into four directions of which the east route leads to Muktinath. The trail down from Muktinath via Eklya Bhatti (single teahouse) meets with the one coming from Kagbeni and then you walk into the Kaligandaki gorge visiting Marpha, which is well known for garden of apples, apricots and peaches sold fresh, dry and as distilled liquor brandy and its narrow lanes of cobbled stones with houses painted in white on each side. 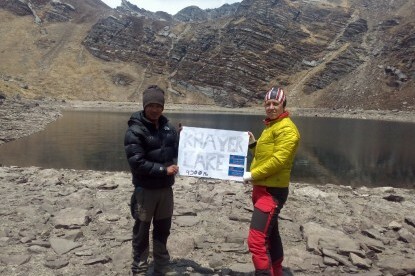 This trek begins from Pokhara and flies out from Jomsom. 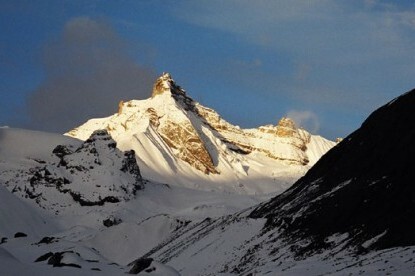 Alternatively, the trek commences from Jomsom and trek out to Pokhara. 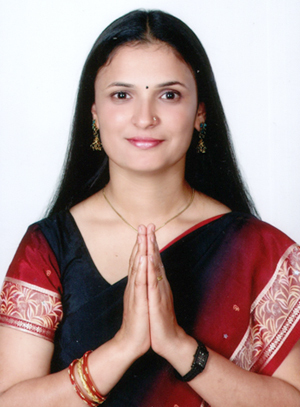 Welcome to Kathmandu, the capital city of the Himalayan kingdom of Nepal. You will be met on airport and transferred to your hotel. 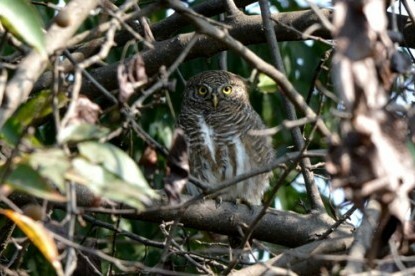 After the arrival, the group will be formally introduced to Guide for the activities over the next few days. 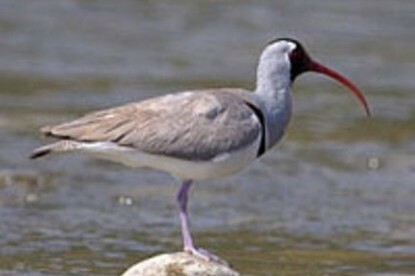 One should pay attention in particular to the safety aspects of the briefing. Any questions or doubts should be asked and clarified at this time. 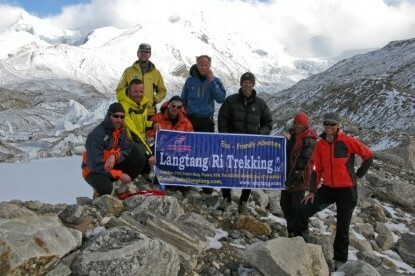 We check your insurance details and other requirement for your trekking. After breakfast, we start an interesting tour around Kathmandu. 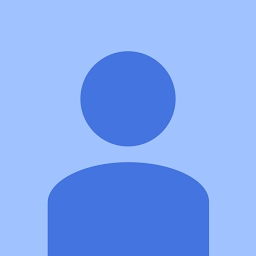 Escorting by an English speaking guide (can be provide any language speaking guide on request) be, try to give them a full taste of our vivid culture image and an enchanting manner of its people. 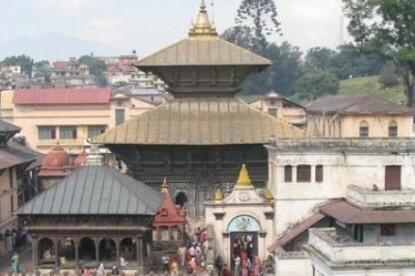 In our sightseeing tour we go to Monkey temple Swayambhunath, Pashupatinath and Kathmandu Durbar square. Drive from Kathmandu to Pokhara (914m) which takes about six hours. 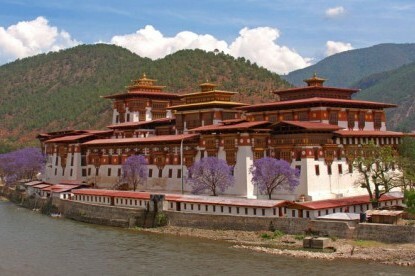 You depart for the six hours drive to Pokhara (915m), 200 kilometers west of Kathmandu. 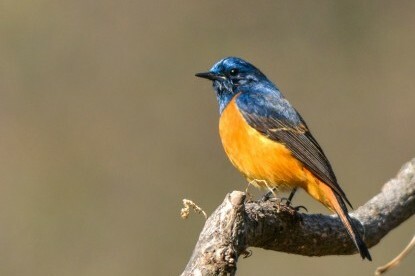 As you climb out of the Kathmandu valley, only to quickly descend again to the Trisuli River, you follow upstream to its junction with the Marsyangdi River. You follow the Marsyandi gently up through heavily terraced fields and small hill towns to the Seti River that takes you directly into Pokhara. Having pleasant weather, Pokhara is tourist’s paradise with full of natural as well as cultural heritage sites such as lakes, caves, temples of Buddhist and Hindus along with mountains. You can observe views to the north across the hills and Phewa Tal (lake) to the white peaks of the Annapurna and Dhaulagiri ranges. This drive will take most of the morning, leaving much of the afternoon to fall in love with its beauty. Fly from Pokhara to Jomsom (2700m) and it takes about 25 minutes and trek from Jomsom to Kagbeni (2810m) which takes about four hours. 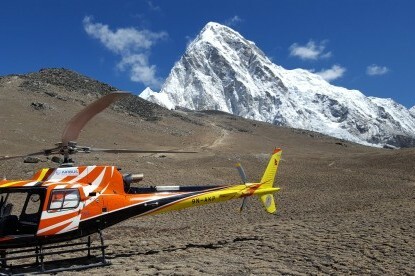 You take the early morning flight which again will give close-up views of the Annapurna range, Dhaulagiri and nearby satellites, 20 minutes flight in a small aircraft. 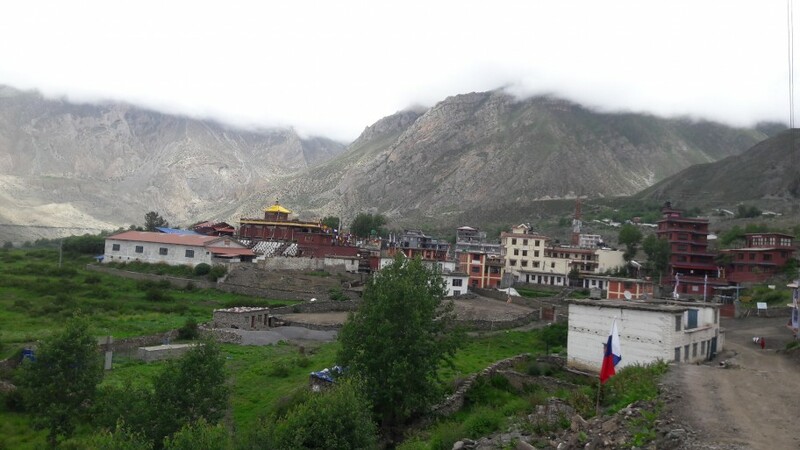 Directly north of Jomsom is the pretty village of Kagbeni, There are about 80 families living here, most of them traders who are the link in the chain between modern Nepal and the Tibetan-type people of Mustang. Just out of Jomsom you cross a small hanging bridge and then walk along the banks of the Kali Gandaki. 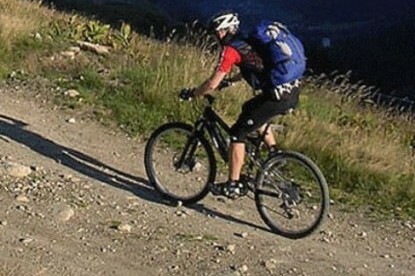 The trail is quite barren with craggy rocks and sand and is mostly flat, which makes it very easy going. 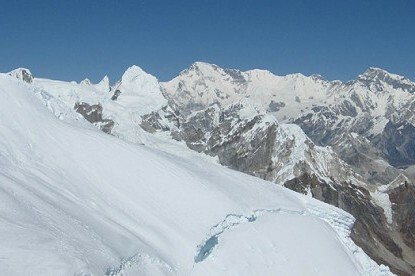 This very easy, enjoyable start is at the same time picturesque, with views of big peaks all around such as Dhaulagiri (26,794ft), Tukuche (22,703ft) and in the west the awesome mountain above Kagbeni, Nilgiri (22,769ft). 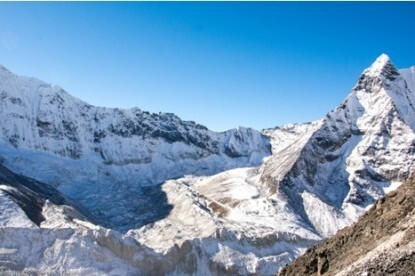 Over to the south and south-west can be seen the entire Annapurna Massif. 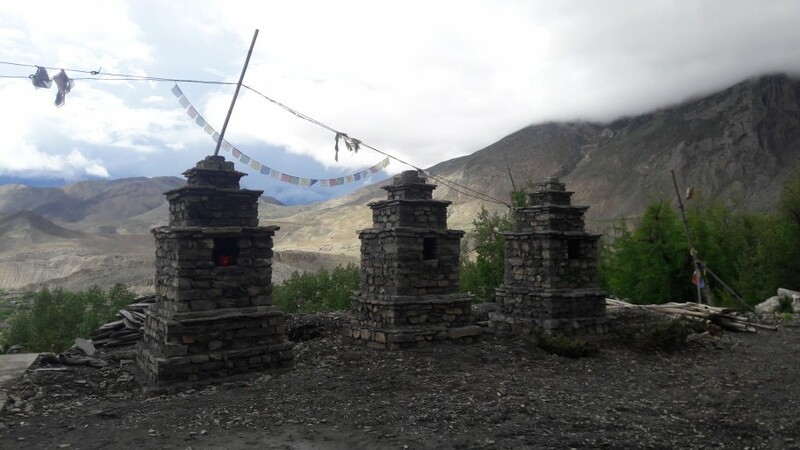 You are more than likely to meet Indian pilgrims on their way to and from Muktinath on this stretch, and other Europeans for an hour or two who will be on the world-famous Annapurna Circuit. 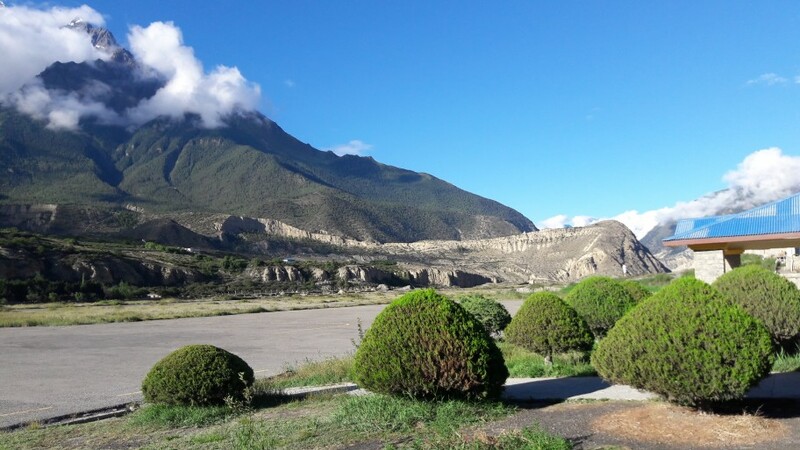 Upon reaching Kagbeni there is a taste of scenes to come in Upper Mustang, what with its narrow alleyways and tunnels, irrigation canals, green fields of wheat and barley and a large red gompa. At the police check-post at the north end of the village there is a sign saying ‘Restricted area, tourists please do not go beyond this point’. Here you will complete your paperwork formalities for you to enter this long-forbidden region of Nepal. ACAP have set up a very interesting information post here with displays of Mustang artifacts and photos. 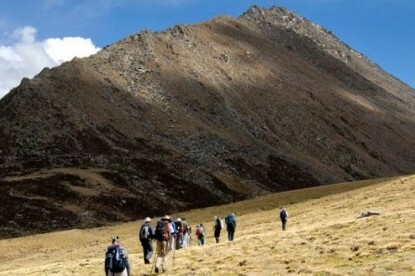 Trek from Kagbeni to Muktinath (3795m) which takes about 4 hours. 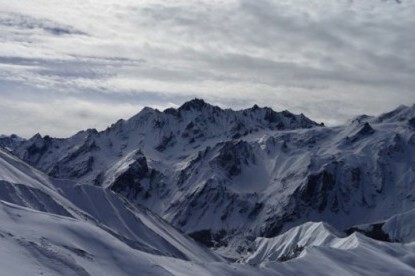 The Trail steeply ascends for couple of hundred Meters. 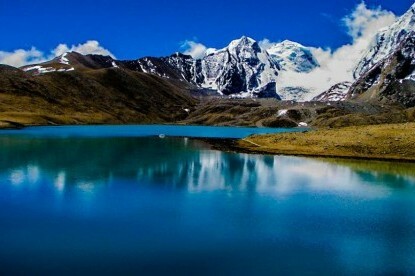 While gradually walking you can enjoy beautiful deserted landscape, Caves, old Tibetan Style Villages, apple Garden, Yaks Herds, Sheep Herds and so on. You can look at Thorong La valley straight up to the Muktinath. 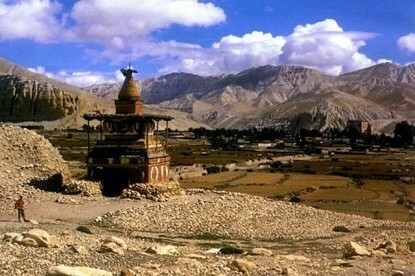 You can enjoy delicious lunch at Jharkot and visit Monastery believed to be built in 15 century. Now you head towards Muktinath following steep ascent path for half an hour. 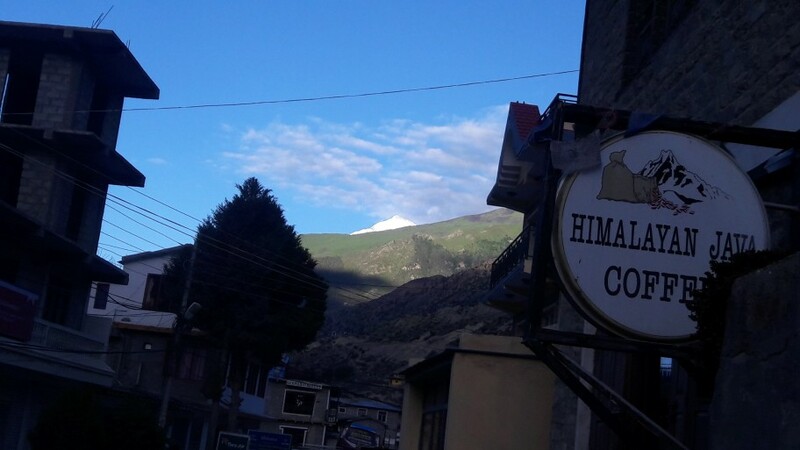 You stay overnight at Muktinath village. From here you hike to Rani Pauwa (3700m), an important pilgrimage site for both Hindus and Buddhists. 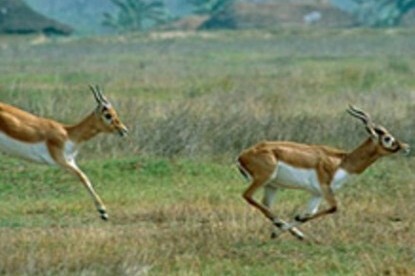 Here you come across Natural flaming which really exhilarates you. 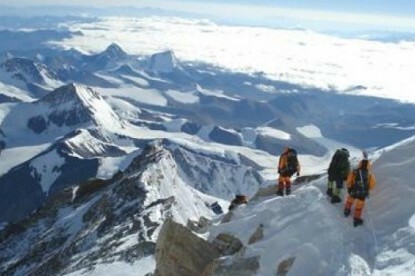 At this point, you can see splendid view of Dhaulagiri (8165m), Nilgiri (7061m.) and others. 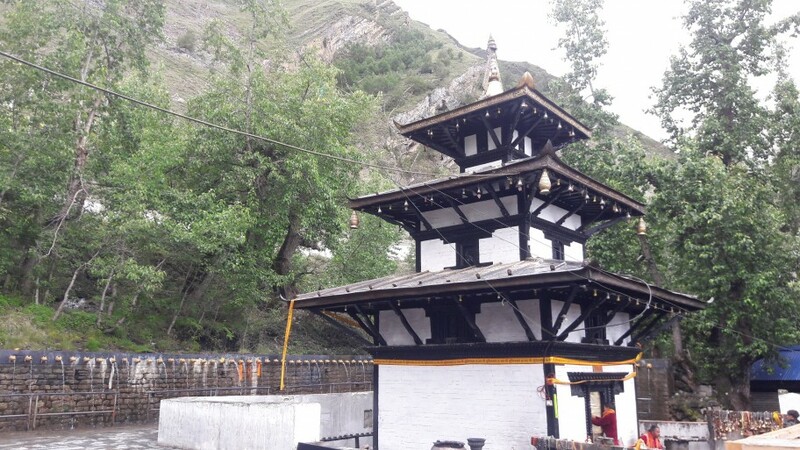 Now you walk for fifteen minutes to reach Muktinath Temple, where you can enjoy a holy bath of 108 Taps. 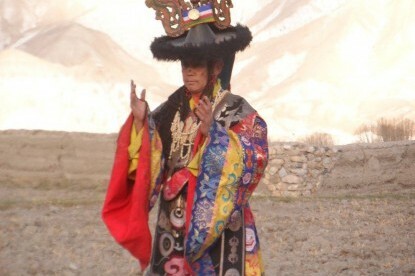 The people of Kagbeni, Jharkot and Muktinath are close to the life style, culture, religion and idea of Tibetan people. Trek from Muktinath to Jomsom (2713m) and it takes about 5 hours. 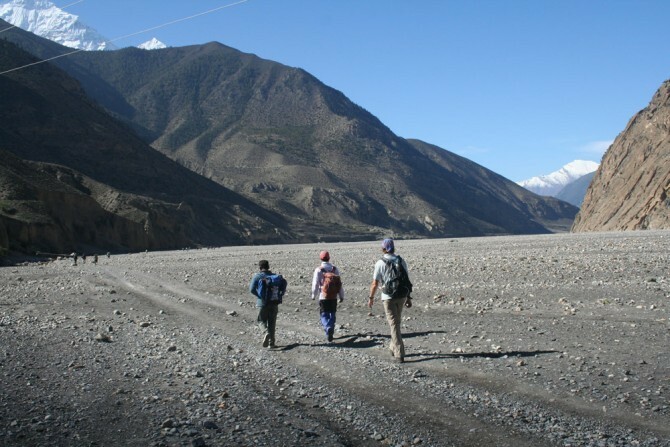 Today we continue down for early two hours and then walk through the flat path till we reach Jomsom. Between the walk lies Eklebhatti village where you find tea houses and lodges. 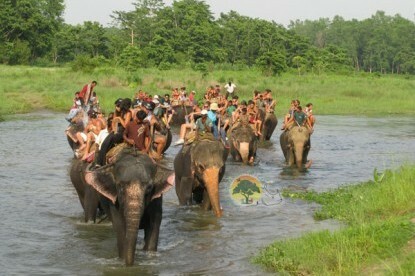 Drive from Pokhara to Kathmandu by tourist mini bus, which takes about seven hours. While driving from Pokhara to Kathmandu, you head up to Damauli, Dumre, Muglin and Kurintar where the Nepal’s first Cable car is operated to reach to Manakamana Temple. En route, you could enjoy the mountain views, green sceneries, rice terrace fields, vegetable fields and people being engaged in their daily life activities. From Naubishe you climb up to Thankot, the gateway to capital city. This is the free day and you can use it for your shopping. In the evening we will drive you for farewell dinner with cultural dance. lbs and batteries, lip salve, gaiters.